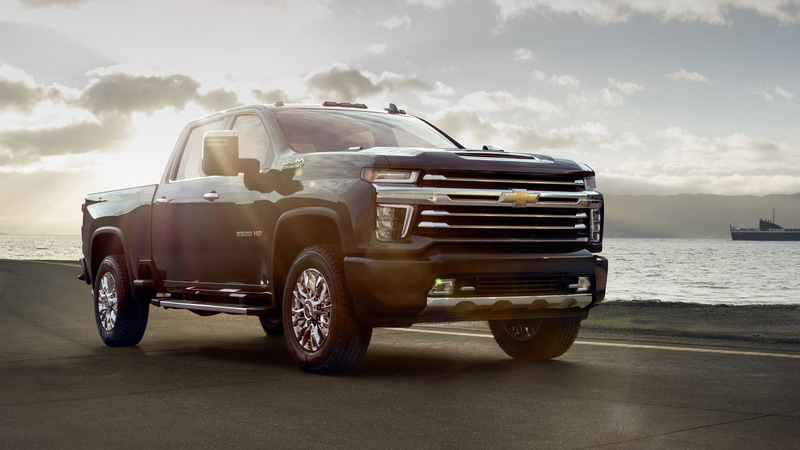 Chevrolet on Thursday revealed the second of five planned variants for its redesigned 2020 Silverado 2500 Heavy Duty pickup truck. This time it's the new Silverado 2500HD High Country, which represents the range-topper of the HD family. It follows Tuesday's first look reveal of the redesigned truck in more jarring LT (with Z71 package) guise. The High Country brings a more conservative look thanks to body-colored bumpers and a more conventional grille pattern, and it also dons the golden bowtie up front. Still to come is the Work Truck, Custom and LTZ variants, all with their own design details, features and technology. 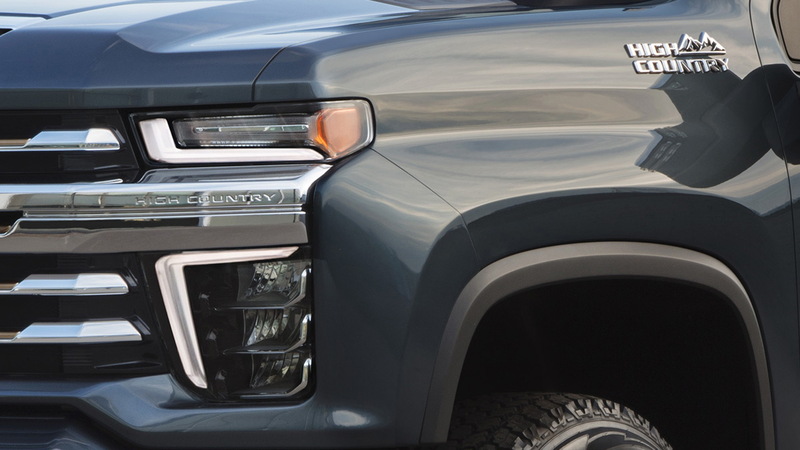 Chevy is using a mix of black, body color, chrome, or the two-tone metallic cues exclusive to the High Country, to visually differentiate the trucks. 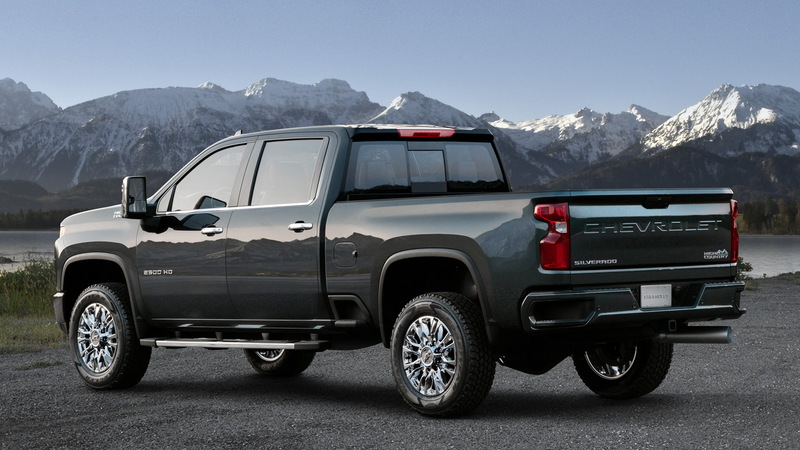 Chevy describes the redesigned truck as the most advanced, most capable Silverado HD yet. For example, there are electronic driver aids to make hauling a trailer easier, and towing and payload capabilities are up on the previous generation. There's also increased space in crew cab models and new bed steps on the flanks in addition to the previous generation's rear steps. Two powertrains have been confirmed. One is a new gas engine with direct injection and a 6-speed automatic. The other is a Duramax V-8 turbodiesel mated to a 10-speed automatic. The diesel will deliver 910 pound-feet of torque, which suggests it will be a version of the previous generation's 6.6-liter Duramax that offers 445 horsepower and 910 pound-feet of torque. 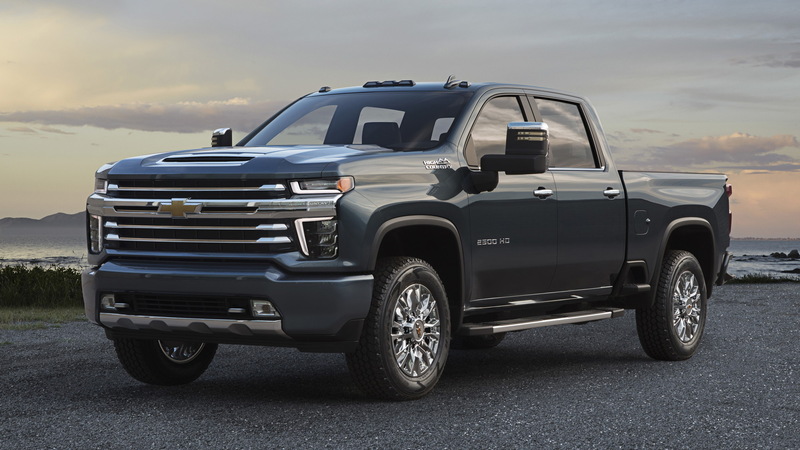 Chevy is holding back further details on its redesigned Silverado 2500HD until the formal debut next February, likely at that month's 2019 Chicago Auto Show. Sales are scheduled to start in mid-2019.